Throughout the years, we, at Industrial Bearings & Services, have been providing bearings and other power transmission products and services to several industries throughout Houston and Southeast Texas. Regardless of your industry, we are here to serve you to the best of our abilities. In this industry, the primary uses of bearings can be found in the machinery used to maintain their land. Some common examples of machines using bearings are the tillering and harvesting equipment, as well as the planters, mowers, rakes, and disc harrows. For all types of air and space crafts, each uses special bearings and other power transmission products to function. Equipment used in a helicopter, may not apply to a jet. An example of one such bearing is the jet shaft bearings that have to withstand temperatures of 200 ° C and -55 ° C, as well as high speeds. Other bearings used are propeller shank bearings and auxiliary bearings. The defense industry uses bearings in a variety of ways, including transportation, as well as surveillance and weapons. These are often customized to fit the needs of the equipment. Some uses can be found in aircrafts, ships, ground combat and security vehicles, weapons, satellites, rovers, telescopes, and radars. In the health industry, bearings are used in the largest and smallest of ways. From high-powered surgical drills to CT Machines and even wheelchairs, bearings play an important role in keeping this industry running. 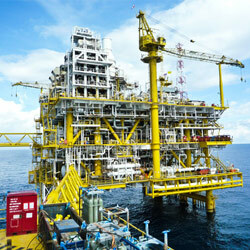 As an industry that is hard on machinery, oil & gas uses top of the line materials. For both off shore and land drillings, conditions are harsh, requiring bearings that can bear increased loads operating at high speeds. The primary uses of bearings will be found in drills, pump compressors, motors turbo expanders and more. In particular, renewable energy is able to use bearings and power transmission products in wind energy production. From the main shaft to the gearbox and generator, almost each aspect of energy production uses bearings in order to operate successfully. These manufacturers use our parts in order to create custom equipment for a given industry. For example, an agriculture based OEM would able to create silo unloaders or grain elevators with the use of the parts.